Use a big skillet and add the olive oil, fry the mushrooms 5 min. on both sides. Use a small skillet to saute the shallots for about 5 -10 min. 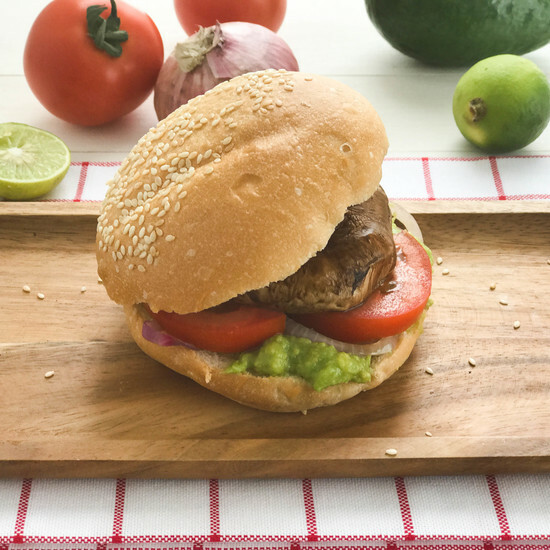 Use a small bowl and mix the avocado, lime, salt and pepper. 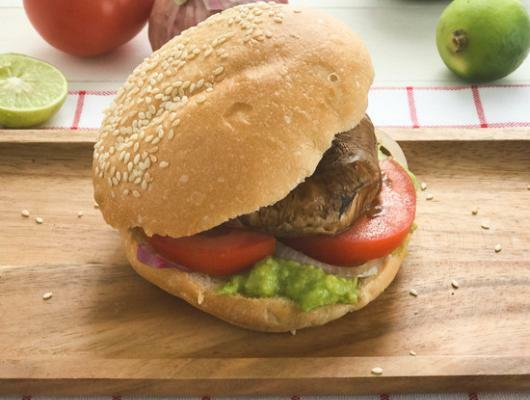 Use one burger bun and add the sliced tomato, shallots, avocado cream and the portabella mushroom.